This advice is aimed at giving you the information you need to know about pupil behaviour and bullying in schools. The vast majority of pupils are well behaved. This is important because all pupils and teachers need to work in a calm, safe environment. We know that bad behaviour and disruption in class can stop teachers teaching and pupils learning. That is why schools and teachers have certain powers to enable them to promote good behaviour, maintain discipline and tackle bullying. It is important that you know what those powers are, and when they can be used, so that you can help to see that the school, and everyone in it, benefits from good behaviour all the time. Your child’s school must have a behaviour policy. The behaviour policy should set out the school rules and the standard of behaviour expected of pupils. The school rules will cover a range of things such as banned items, the school uniform policy and registration times. The policy must also include measures to prevent all forms of bullying among pupils. It will say what will happen if pupils break the rules or misbehave. Read more about Government guidelines on schools and bullying. You can have a role in shaping the behaviour policy. A school’s behaviour policy is informed by the governing body’s written statement of general principles on behaviour. When making or reviewing this statement, the governing body must consult parents. It’s important you know what is in the school’s behaviour policy – it directly affects your child. The school must publish details of their behaviour policy (including the governors’ statement of principles which informs that policy) online. In addition, the head teacher must bring it to your attention at least once in every school year. Academies are also required to have a behaviour policy, and should also draw up and implement effective anti-bullying strategies. The governing body must ensure that there is a written policy to promote good behaviour which sets out the sanctions to be adopted if pupils misbehave. An academy’s behaviour policy must be made available to parents and prospective parents. Whilst academies may consult parents on their behaviour policy, they are not required to do so. Teachers have a specific legal power to discipline pupils for poor behaviour or breaches of the school rules. In certain circumstances, this legal power applies to misbehaviour outside school. Any disciplinary penalty imposed by a teacher must be proportionate and reasonable in all the circumstances. The teacher must take account of your child’s age and any special educational needs or disability they may have. They must also take account of your child’s religious requirements. If your child’s school uses detention as a disciplinary penalty, the behaviour policy must make this clear. The school doesn’t have to tell you in advance if your child is given an ‘after school’ detention. It is not illegal for a teacher to touch a pupil. There are occasions when physical contact with a pupil is proper and necessary. Teachers can remove a disruptive pupil from the classroom or physically intervene to break up a fight, if they judge it necessary to do so. Schools can ban mobile phones from the premises if they want to. In certain circumstances, the head teacher or an authorised member of school staff can search the content of any mobile phone/computer your child takes into school if they think there is good reason to do so. Head teachers and authorised members of staff can search your child without their consent for a number of specified items and any item that has been, or could be used, to break the law or cause harm or damage. Your child can also be searched for any item banned by the school rules and identified in the school rules as an item which may be searched for. A teacher can confiscate your child’s property as a disciplinary penalty. In terms of when your child’s property should be returned, there is no specific time limit in the legislation but teachers are required to act reasonably and should consider factors including your child’s personal circumstances. The teacher can also decide to return the item to you rather than your child. If your child’s school uses ‘time out’ or ‘seclusion’ rooms as a disciplinary penalty then they should make this clear in the behaviour policy. While it’s up to the school to decide how long a pupil should spend in seclusion and to determine what pupils may and may not do during the time they are there, the school must act reasonably, including allowing the pupil time to eat or use the toilet. Bullying can take many forms, from physical or verbal abuse to bullying via text messages or the internet (cyber-bullying). Any form of bullying is unacceptable. Schools should tackle bullying at the earliest opportunity and not allow it to escalate to a point where a pupil suffers emotional or physical distress. 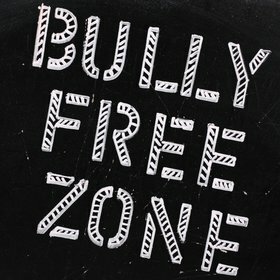 Schools should also support the bullied child, not the bully. Bullying itself is not a specific criminal offence however some types of harassing or threatening behaviour – or communications – could be criminal offences. Where bullying outside school is reported to school staff, it should be investigated and acted on. New search powers included in the Education Act 2011 have given teachers stronger powers to tackle cyber-bullying (via text message or the internet) by providing a specific power to search for an image on a mobile phone if it is likely to be used to cause harm. If you are worried that your child might be being bullied you should discuss your concerns with the school. Further information on all of these issues is available via the following link to the Department for Education’s website. Please clickhere. While these documents are mainly aimed at head teachers and school staff, mums and dad should find them helpful too. Your child’s school must have a published complaints procedure – this is usually available from the school office. If you have any concerns or a complaint about the school you should speak to the head teacher in the first instance. If you cannot resolve the matter with the head teacher then you can make a formal complaint to the school’s governing body. You must ensure that you follow the process set out in the school’s complaints procedure. The Secretary of State for Education can only intervene (and if necessary issue a direction) in very limited circumstances. These are where the governing body or local authority has failed to carry out a duty, has acted unreasonably in the performance of a duty or failed to exercise a power. You must have completed the local complaints process before the Secretary of State can consider your case.